With Easter coming up on Sunday, my roommate and I took advantage of the rainstorm yesterday to stay inside and dye Easter eggs. The smell of vinegar and boiled eggs, though somewhat unpleasant, is undeniably the smell I associate with Easter and egg hunts. We used stickers, tape, and a wax crayon to create the different patterns for these colorful Easter eggs. 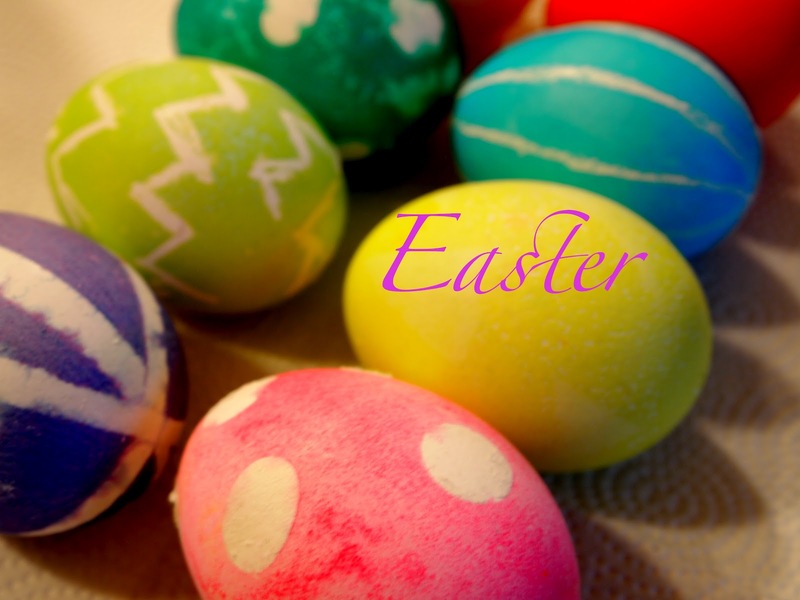 Easter eggs are symbolic of new life. Just as a chicken hatches from the egg, Jesus rose from the dead, so that we might have a new life in him. Happy Easter!